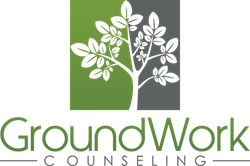 At GroundWork Counseling in Orlando, we offer evidenced-based cognitive behavioral therapy for panic attacks, which are sometimes also referred to as anxiety attacks. Panic attacks or anxiety surrounding having an “anxiety attack” is known as “panic disorder”. Panic attacks consist of a sense of intense fear or terror and powerful bodily sensations such as feeling faint, a racing heart, feeling dizzy or weak, chest pains, breathing difficulties and a feeling of loosing control. During an anxiety attack, you might feel like something terrible is going to happen, such as having a heart attack, stroke, loosing control or being unable to breathe. It’s important to note that someone with a panic disorder has a constant fear of suffering another panic attack. The persistent worry about having another anxiety attack causes many people to change their behavior to try and prevent from having another panic attack. Some individuals are affected so much that they avoid any situation or place where it might be difficult to escape from or to get help. When this avoidance becomes severe, it can lead to agoraphobia. People who experience anxiety attacks often focus on the physiological symptoms of panic and anxiety and interpret them in a catastrophic way. For example, because your heart is pounding, that must mean you’re going to have a heart attack. It’s important to note that because physical symptoms are interpreted as “dangerous”, feelings of anxiety increase. People who have panic attacks tend to worry excessively about anxiety symptoms. They also overestimate the possibility of having another panic attack and overestimate the danger of actually having a panic attack. This constant fear of having another panic attack makes these individuals feel very anxious and prompts them to be on the constant lookout for evidence of danger or threat. Education about panic and anxiety. Examining core beliefs that contribute to anxiety. Treatment for panic disorder is relatively short term. Your cognitive behavioral therapist will help you to increase your tolerance for anxiety, stress and tension, which prevents anxiety from escalating into a full-blown panic attack. By learning how to effectively handle anxiety when it does appear and changing the thoughts that fuel anxiety (e.g., “I am having a heart attack” or “I am loosing control”), and more importantly, increase your willingness to be in situations where a panic attack might happen. Panic attacks are extremely common. As a matter of fact, one out of 58 adults will experience an anxiety attack in any given year. For some, having a panic attack can lead to an enduring struggle with anxiety that affects relationships, school, work and quality of life. But that doesn’t have to be the case if you take the initiative and seek early intervention from a therapist trained in evidenced-based Cognitive Behavioral Therapy (CBT). If you are seeking treatment for your panic attacks, GroundWork Counseling in Orlando, would be happy to speak with you regarding our treatment approach and how we can help you overcome your anxiety and panic attacks.